Here goes the Season 4 of Nkoli Nwa Nsukka Nigerian Igbo Movie, also showing on Nigeria Movie Network - starring Rachael Okonkwo, Junior Pope Odonwodo, Browny Igboegwu, Mandy Eze, as the main cast. The Igbo drama series is brought to you courtesy Nollywood Pictures TV. 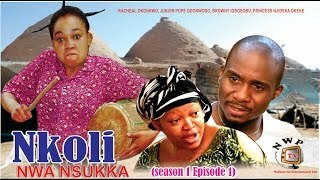 Nkoli Nwa Nsukka Summary: This is the sequel to NKOLI NWA NSUKKA Season 1, Season 2 and Season 3. Devastated and heartbroken by the sudden turn out of events in her village, Nkoli relocates to the city for a better livelihood. Life in the city isn’t a bed of roses. Faced with new challenges, she battles with unexpected twists around her. Unknown to her is the role fate would play to set her on the road to her destiny. Though Nkoli Nwa Nsukka is an Igbo production, the movie is subtitled in English language for the non-Igbo speaking audience. The movie is interestingly funny, so don't fail to watch it just because you don't speak the Igbo language - after all, this is how you learn small small; Nigeria Movie Network suggests. 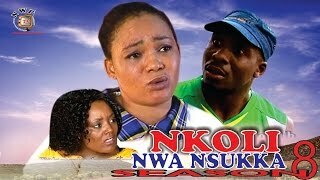 BTW, Nollywood Pictures TV recently created a YouTube Playlist for all existing and future uploads for the Seasons of Nkoli Nwa Nsukka, which can be publicly accessed here: Nkoli Nwa Nsukka Seasonals. D movie z indeed 4ny, bt vry interestin, makes me hapi al d time.